In today’s world, having a strong brand presence is key to succeeding in a competitive, growing online market. You have to find a great web design company to help you successfully deliver your message. You may think that getting to that point of needing an agency is difficult, but finding the right agency is, by far, more of a challenge. We’ll be the first to admit, design agencies are a dime a dozen in and around Washington, DC. To find one that is the perfect fit for your brand means first pausing to really assess the goals for your new website. By taking the time to review your goals, you will meet with an agency knowing exactly what you’re hoping to accomplish, if not how you’re going to go about accomplishing it. Here are a few tips on starting your search for the perfect web design shop from someone who has worked with a gamut of brands and businesses. Before you even start to think about which agency to hire, you have to first consider why you want to invest in a new website. Sit down with your stakeholders and discuss the purpose for your website and its marketing goals. How will you measure the success of your new website? What is the primary reason for building this site? For example, if you’re a new startup who’s building brand awareness, your primary goal should be successful visibility on the web with a focus on your mission. This can be done with a website that clearly educates your audience about your services and products. You’ll be able to measure success through traffic analytics and the leads generated by your new website. To see an example, look at the work we did for GuitarGate. Once you identify your goals, you will be much better prepared to find a web company with whom you can have a successful partnership. As a partner in your marketing strategy, an agency should know your content needs to be their first priority. If the first thing a prospective web design company talks to you about is the look or functionality of your new website, turn around and RUN. Website design is obviously an important part of any user experience on the web, but content is king; it should be treated as such. Whether you work with a copywriter or your in-house marketing team, we—as your web agency—must understand how your audience should interact with the content. Mastering your website content will ensure you are delivering the right message to your audience and in turn will lead to increased views, shares, and conversions! 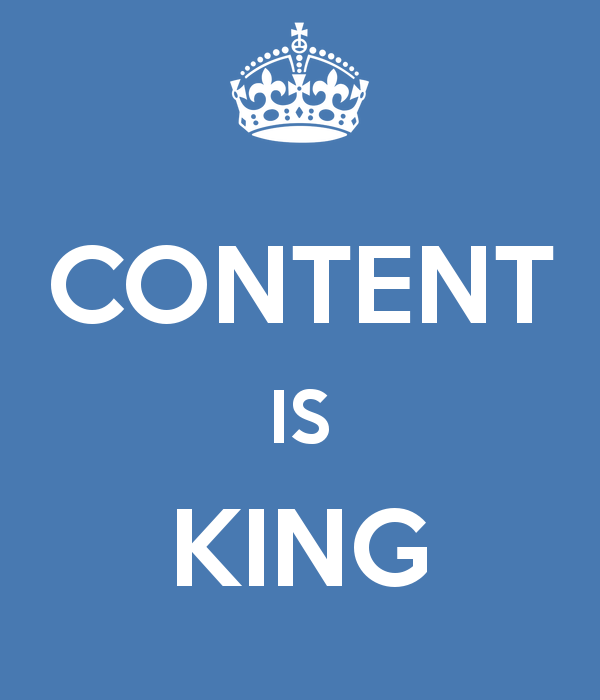 Use your web content to help your audience learn about your company, products, and services. It can include photos, data visualization, videos, etc. Don’t be restricted to a box of text. You’re already investing a fair amount of money and resources into your company’s new website. Be sure to spend quality time thinking about your goals and expectations. Don’t just think about what it will look like and how you can cram keywords into every virtual nook and cranny. Think about six months down the road… how will you know your efforts (and ours) have been well spent? Be realistic and move past the shallow goals of wanting to “receive more web traffic” or be “first on a Google search”. These things will come if you start with a good plan and finish with a great agency. Increase and better the communication with your customer base. Talk to your web company about the tools and services available for pushing your content and driving measurable traffic to your site after launch. Remember, we’re a business, too. We understand the sales process. We would be more than happy to discuss a solution to making your own process efficient, leading to increased sales. It can become incredibly frustrating and unnecessarily expensive if you don’t understand what is going on during your project. When you are talking to prospective agencies, they should be on your side offering solutions, clearly explaining their methodologies and helping you to understand the purpose behind their work. If you don’t understand what they’re saying, ask. This is your investment in your company’s success. Please, don’t be shy about talking with us when it comes to your website. Remember, the whole reason we’re here is to make your project a success. Understand their process and solutions. Ask questions when you don’t. Always remember, your website is an investment in your company’s success. WDG is a web design and development agency in the heart of Old Town Alexandria, VA. We love to build experience on the web. Want to learn about how we could be the right fit for your next project?